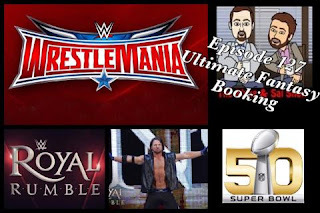 The guys return to give their Super Bowl 50 picks, review the Royal Rumble and then fantasy book Wrestlemania Texas Star. 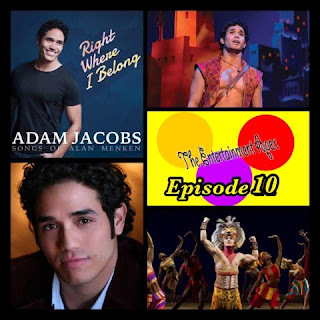 Blake sits down with Adam Jacobs, the current Aladdin on Broadway, to discuss the show itself and his new CD Right Where I Belong. They talk about the idea for the CD, his ride to become Simba in The Lion King and of course the ups and downs to the road to Broadway with Aladdin. Blake sits down with the play by play commentator of Lucha Underground, Matt Striker. They discuss the new season of Lucha, the differences between announcing in WWE, New Japan and Lucha, some WWE stories and more. 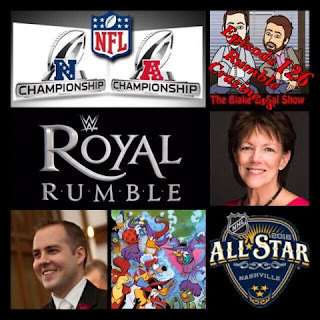 It's Royal Rumble time so Blake and Sal bring on James Caldwell from PW Torch to preview the show in detail, also the guys preview the NFL Conference Championship games, the NHL All Star Game, Blake interviews Susan Bennett, the voice of Siri and much more including memoriams and other news. Blake & Kyle finally return to the mics together and before getting back to Boy Meets World season two, they look back at the ups and down of the history of the famous T.G.I.F. ABC block. 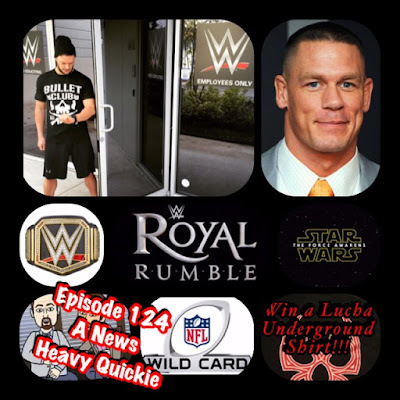 Blake & Mark jump in the wrestling time machine and flash back to the Royal Rumble 2006 and break down the match and the wrestlers in. It's a good time and a good history lesson. 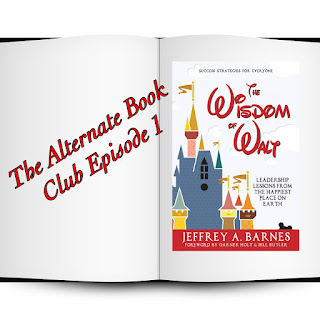 In the first edition of the book club, Blake brings on Jeff Barnes, the author of The Wisdom of Walt: Leadership Lessons From The Happiest Place On Earth. 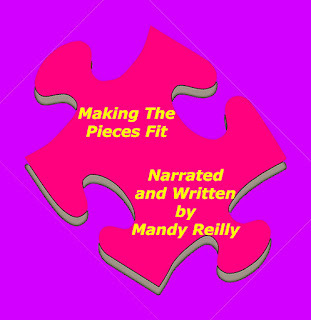 They discuss the history of Disney theme parks, the stories behind the parks, an interesting talk about BB-8 and Olaf and everything in between. 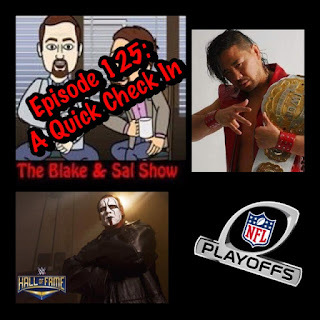 In a quick show, the guys check in talking about the NFL, Sal discusses Sting going into the WWE Hall of Fame and Blake explains the concept of Blake & Sal Radio. After discovering Sal's new obsession with Making of a Murder, the guys discuss the WWE Championship being on the line in the WWE Royal Rumble, John Cena and Sasha Banks' shocking injury, the Bullet Club coming to WWE, preview the NFL Wild Card Weekend and much more in a fast paced show. 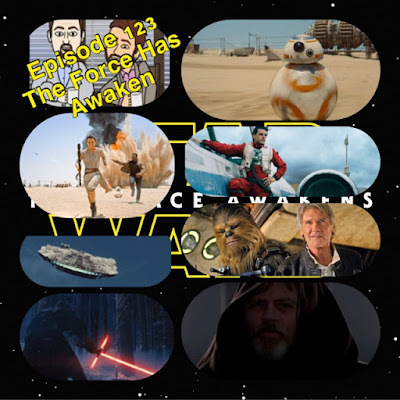 Blake opens up 2016 with a mega panel talking and spoiling all aspects of the biggest film in the history of cinema, Star Wars: The Force Awakens.